Unfortunately the presenter for Las Villas del Norte for this Sunday cancelled due to health issues with his wife. We hope she has a speedy recovery. Since it is too short of a notice and too late to look for a presenter, I have decided to present on something I have been working on that may be of interest to others. 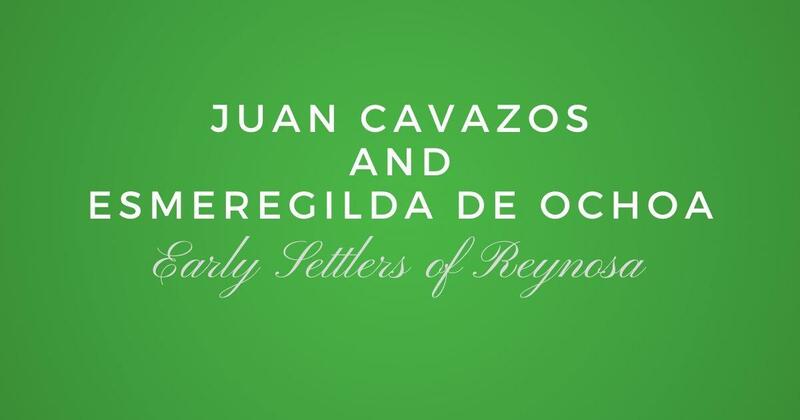 The title of my presentation will be “Using DNA to find the parents of Maria Felipa de Cervera”. Maria de Felipa de Cervera was the mother of Francisco Angel de la Garza whom married Maria Cayetana Peña. Both Francisco and Maria are the founders of Arcabuz, Tamaulipas. This town was located at the South end of the Municipality of Mier since the 1750's up to 1950. After 1950 it belongs to Miguel Aleman. She can be found in many peoples family tree whom have roots in Mier, Miguel Aleman, Roma, and Los Saenz. The presentation will be May 7, 2017 at 2:00 PM at the Speer Memorial Library located at 801 E. 12th St. in Mission Texas. There is no cost to attend and it is open to the public. Don't worry, join Las Villas del Norte today and you can watch this presentation online two days after it is recorded. 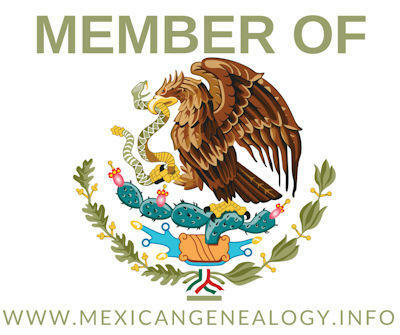 You will also get our printed book "​Las Villas del Norte, The 1757 Censuses of Laredo, Dolores, Revilla, Mier, Camargo, and Reynosa", the e-version of our 2016 and 2017 Journal, plus a ton of other great resources to help you in your genealogy. Rosa Flores Fernandez is your mother a Salinas ? Are you from Alice, Texas ? If so then we’re cousins. I was born and raised in Alice, TX. Is there perhaps a variation of the last name? Cervera? Servera, Zelvera, etc? I have an ancestor (I believe) who has been listed on different sites with the different spellings. You are correct there are many different variations.